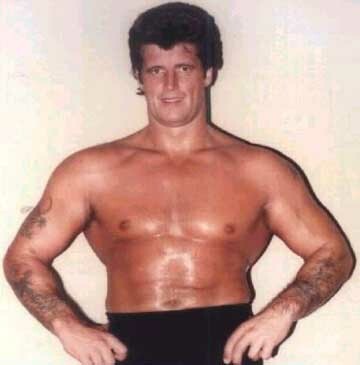 Tony Garea was an accomplished sprinter and Rugby player before turning to wrestling..
Tony Garea & Rick Martel’s tag team partnership was originally formed in NWA New Zealand..
1972: Tony Garea left New Zealand to further his career in the United States..
Tony Garea also wrestled occasionally in Australia while being primarily based in the USA..
Tony Garea (while wrestling in Australia) caught the eye NWA President Eddie Graham, who was visiting the counry..
~~~Tony Garea was offered the opportunity to wrestle for Eddie Graham’s Florida territory..
~~~Tony Garea was to work his way to try and re-establish himself in United States..
~~~He eventually joined the WWWF headed by Vince McMahon Sr. and made the move to New York..
1973: Tony Garea & Bob Orton Jr. co-won Pro Wrestling Illustrated Rookie of the Year..
May 15, 1976: Tony Gaea & Pat Patterson defeated Don Muraco & Invader 1 to win the NWA San Francisco Tag Team titles..
September 18, 1976: The Royal Kangaroos defeated Tony Garea & Pat Patterson for the NWA San Francisco Tag Team Titles..
Tony Garea won five separate WWWF Tag Team titles with 4 partners; Haystacks Calhoun, Dean Ho, Larry Zbyszko & Rick Martel..
March 17, 1979: The Valiant Brothers & Lou Albano vs Larry Zbyszko & Ivan Putski & Tony Garea..
September 22, 1980 – WWF/NWA: Larry Zbysko beat Tony Garea by disqualification..
November 8, 1980: Tony Garea & Rick Martel defeated The Wild Samoans to win the WWWF Tag Team titles..
December 1980 – MSG: Tony Garea & Rick Martel vs The Moondogs..
January 10, 1981: The Moondogs beat Rick Martel & Tony Garea via DQ so Martel/Garea retain their titles..
February 14, 1981: Tony Garea & Rick Martel defeated The Moondogs to retain the Tag titles..
March 16, 1981 – MSG: Tony Garea vs Bulldog Brower..
March 21, 1981: Tony Garea vs Stan Hansen..
March 18, 1981: Tony Garea & Andre the Giant beat Moondog Rex & Sgt Slaughter..
March 18, 1981: Tony Garea defeated Hulk Hogan (yes, that’s correct)..
May 4, 1981: Tony Garea/Rick Martel/Gorilla Monsoon vs Stan Hansen/Lou Albano/Moondog Rex..
May 23, 1981: Tony Garea vs George Steele..
June 21, 1981: Tony Gary & Rick Martel defeated The Moondogs to win the WWWF Tag Team titles..
October 13, 1981: Mr. Fuji & Mr. Saito defeated Tony Garea & Rick Martel for the WWWF Tag Team titles..
January 16, 1982: Mr. Fuji & Mr. Saito vs Tony Garea & Rick Martel..
June 28, 1982: Tony Garea vs Adrian Adonis..
November 1982: Mr. Fuji & Mr. Saito vs Tony Gary & Rocky Johnson..
January 1983: The Wild Samoans vs Tony Garea & Eddie Gilbert..
April 30, 1983: Tony Gary vs Ray Stevens..
February 18, 1984: Mr. Fuji & Tiger Chung Lee vs Tony Garea & Eddie Gilbert..
March 21, 1984: Andre the Giant & Tony Garea & Jimmy Snuka defeated The Wild Samoans..
July 23, 1984 – Brawl to End it All: The Iron Sheik pinned Tony Garea..
October 5, 1985 – SNME: Brutus Beefcake & Greg Valentine beat Lanny Poffo & Tony Garea..
August 28, 1985 – Michigan State Fair: King Kong Bundy beat Tony Garea..
January 2, 1986 – TNT: Terry Funk breaks a bottle over Tony Garea`s head in a saloon type brawl..
August 28, 1986 – The Big Event: Ted Arcidi beat Tony Garea via submission..
Tony Garea settled into an office position with the World Wrestling Federation for nearly 20 years! October 3, 2005 – WWE Homecoming: Tony Garea participated in a Legends Ceremony which included roughly 24 Legends..
June 24, 2007 – Vengeance (Night of Champions): Tony Garea made an appearance as a former World Tag Team Champion..
~~~Rick Martel & Tony Garea got physically involved saving Sgt. Slaughter & Jimmy Snuka from Deuce & Domino..
March 29, 2010–RAW: Christian defeated Ted DiBiase Jr. in a Legends Lumberjack match..
~~~Lumberjacks: “The Million Dollar Man” Ted DiBiase, IRS (Mike Rotundo), Arn Anderson, Pat Patterson, Tony Garea ..
~~~Lumberjacks: Rowdy Roddy Piper, Nick Bockwinkel, Sgt. Slaughter, Ricky “The Dragon” Steamboat, & Jerry “The King” Lawler ..
Tony Garea’s younger brother Johnny Garcia (Garea) also wrestled in New Zealand and had a brief stint in the WWF.